No exploration of thick foliage, whether in a remote sector of the Amazon or an overgrown backyard, is successful without a good blade. 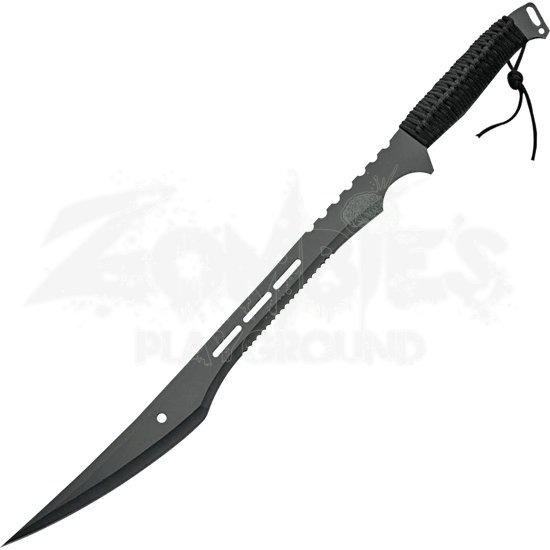 The Black Serrated Bush Machete is perfect for cutting down vegetation and other obstacles. Wide tooth serrations follow the first quarter of its straight spine. Cut outs down the middle support powerful, well-balanced strikes. Serrations at the midsection of the belly and the curved end allow multiple cutting tasks. Black cord wrap enhances the grip. A black sheath ensures easy carry. 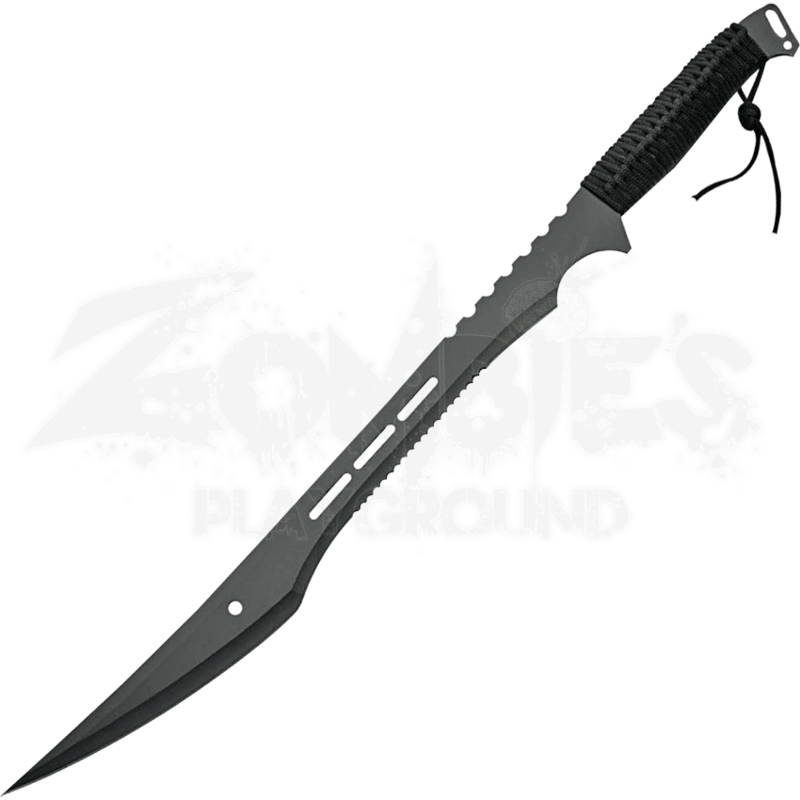 This survival machete is perfect for your next traipse through the wilderness.